Bronze Fitted Cast Iron Construction. Close Coupled to a 1/2 Horsepower, 3450 RPM, 115/230 Volts, 1 Phase Motor. Ports are 1 Inches NPT Inlet, 1 Inches NPT Outlet. BURKS close coupled turbine pumps, Series CT. 3450 (60 Hz) and 2900 (50 Hz) RPM and 4 CT, 1725 RPM. are available for capacities up to 8 g.p.m. (0.50 Lps). Pressures up to 150 PSI (1034 kpa) and temperatures up to 225 °F (107 °C), hence come with standard mechanical shaft seal. Special shaft seals are available due to higher temperatures and fluids other than water. Compact turbine pumps first of all, are designed for pumping clear water in addition to many other non-abrasive and lower viscosity liquids. Burks pumps are especially engineered for boiler feed on steam process applications. Will serve up to a 38 hp. boiler at a 3 to 1 safety factor. Available in bronze fitted as standard. All bronze or stainless steel construction also available. These pumps are recommended for many application therefore requiring higher pressures and lower capacities. BURKS is the only turbine pump with Life-Lok® External Impeller Adjustment feature. Allows re adjustment of impeller without disturbing piping or also having to disassembling pump or replacing parts. As a result, gives up to 40% longer service life than turbine pumps of other designs. Standard pump motors have open drip proof construction. 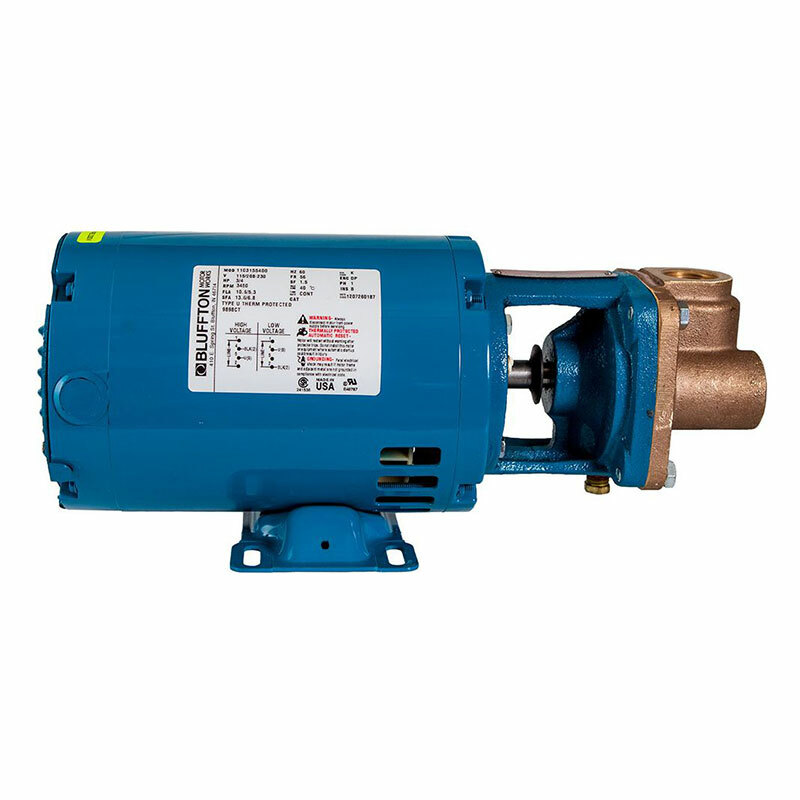 Rated with jet pump service factors for continuous duty operation at all ratings shown. Burks single phase motors are 115/230 volt, 60 Hz, capacitor start/induction run with built-in overload protection. Single phase motors 1/3, 1/2 & 3/4 HP are U.L. recognized. Three phase motors require a magnetic type starter which provides full 3-leg overload protection. Failure to use the correct starter and overloads will consequently void the warranty. 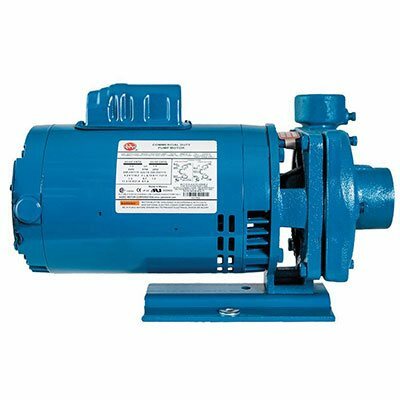 All three phase motors are 208-230/460 volt, 60/50 Hz, 3450/2900 RPM. For Temperatures to 500 °F (260 °C). A Series CT Pumps are available in a Jacketed Seal Cavity. Designed for pumping hot oil, hot water and heat transfer fluids in common use in high temperature while in heating or cooling applications. This feature greatly extends seal life in high temperature applications. 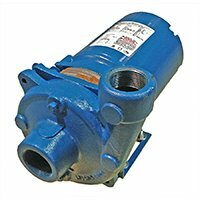 To order, add suffix J to pump catalog number for temperatures below 400°F (204 °C) and add suffix JK to pump catalog number for temperatures over 400°F (204°). Example: 5CT5MJ. In conclusion see Section on High Temperature Pumps for more information.